While there have already been dozens of deals struck at Cannes in the first few days of the festival (way too many to keep up with), there was one that has been stirring up the most amount of buzz. And ironically it's for a film that has been in the works for years. 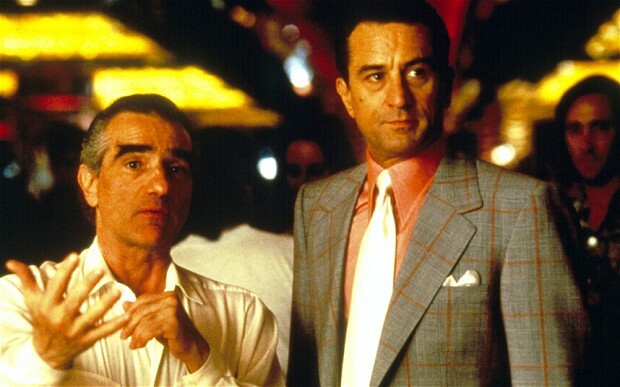 Martin Scorsese's The Irishman has been the hot item up for grabs, not surprising since it would see him directing legends Robert De Niro and Al Pacino. When the dust settled, it was STX who threw down the most, securing the international rights for close to $50M. Paramount retains domesic rights to the film, an adaptation of Charles Brandt's book, "I Heard You Paint Houses", about infamous mob hit-man Frank Sheeran, who claims to have been involved in the murders of Teamsters leader Jimmy Hoffa and President John F. Kennedy. The Steve Zaillian-penned film boasts even more mob movie prowess as Joe Pesci and Harvey Keitel are expected to be in the cast, as well. So what makes this news any different than the years of aborted attempts to get this movie going? For one, it's secured total financing courtesy of Fabrica de Cine, and there's a start date of next January set in place.